Many of you will have seen the reports in the national press regarding the Populus poll commissioned by the ‘Searchlight’ organisation regarding potential support for ‘far right’ parties. This report seems to have stunned the established political parties, although the only thing that stunned me was the label ‘far right’ – What is far right about speaking up for the people of your local area against the erosion of their communities by the campaign of ‘political correctness’ that has been prevalent in England for the last thirty years? What is ‘far right’ about speaking out against injustices towards your fellow community members, and the discrimination aimed towards them by the British government? For those of you who are unaware, Searchlight is an organisation dedicated to the rooting out of fascism and racism in our society. Those are aims I applaud, as neither have a place in a civilised 21st century democracy. However, as an English patriot I am constantly worried about talking out against injustice to my fellow man for fear of being branded with the badge of ‘racist’, a term that the politically correct brigade use to shut down any conversation that is brought up that regards discrimination against the people of this country. One of the biggest concerns is mass immigration. England now has a population density double that of Germany, and four times that of France. We are in the grip of the biggest financial crisis since the 1930’s, yet the doors remain open and we do not have the resources in these straightened times to cope. One of the most revealing aspects of the populus survey was that 39% of ‘Asian Britons’ and 21% of ‘Black Britons’ wanted ALL immigration in to the UK stopped permanently, or at least until the economy improved. Even more revealing, 43% of ‘Asian Britons’ and 17% of ‘Black Britons’ agreed with the statement that ‘immigration in to Britain has been a bad thing for the country’. In my opinion, Muslims are not the problem – Nor are Sikhs, Hindus, Jews, Buddhists or any other religion who reside upon these shores. Likewise, what difference does colour of your skin make? I have English friends of Asian, African and Afro-Caribbean descent who have more in common with myself and my values than the knuckle dragging thugs of the likes of Combat 18 or The National Front. What IS a problem in our society is the pandering of the current government, and that before it, to the demands of a vocal minority over that of the majority in this country. Islamic extremists (Who ARE NOT Muslims in my opinion) are set upon imposing their values upon the rest of our society, and are aided and abetted by the politically correct and the left wing agitators of the likes of the SWP (Socialist Workers Party) and the UAF (Unite Against Fascism). The end result is what you have seen in the Populus poll – I have many friends amongst the English community of Asian descent, and the most vocal against the imposition of other cultures over our own are their parents, who came here to make a better life for themselves away from the corruption and oppression of their home countries. They have a sense of betrayal that exceeds even my own, as they openly embraced our culure rather than being born to it, and are now being discriminated against by the British Government in favour of minority views. With this in mind, is it any wonder that the poll found these results? Does it show that our mainstream political parties are out of touch with the people they purport to represent, and need to re-engage with the communities that vote them in to their positions of privilege? 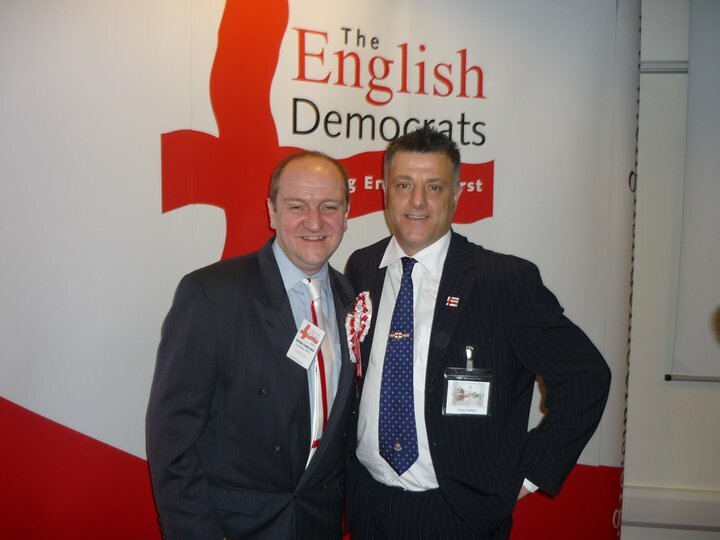 One thing I am sure of – If the political classes of the Lib-Lab-Con do not wake up to the concerns of the people of England, then The English Democrats with our collection of ordinary, self-funding volunteers are here and ready to take up the baton for our people and our way of life! This entry was posted in English Rights and Parliament, General, Political Correctness. Hi Cliff , yes i am glad this has been followed up from the conference last weekend. I brought it up and it did not get the response or reaction that it should have. The party would do well establishing a working group on how to grasp this topic. From what i remember the conclusions or suggested ways forward would be to establish a framework school of thought to formulate a policy on national identity. As this would probably be hijacked by the left of centre pc concensual deferential thinkers that are at the helm of political thinking in th UK, the issue of identity will be ring fenced, and protected from the ideas of the non violent, traditional right that has lost its voice over the past 20 years! With the consequential lost opportunity to contribute to formulating or even driving the discussion/policy of English national identity being missed !! 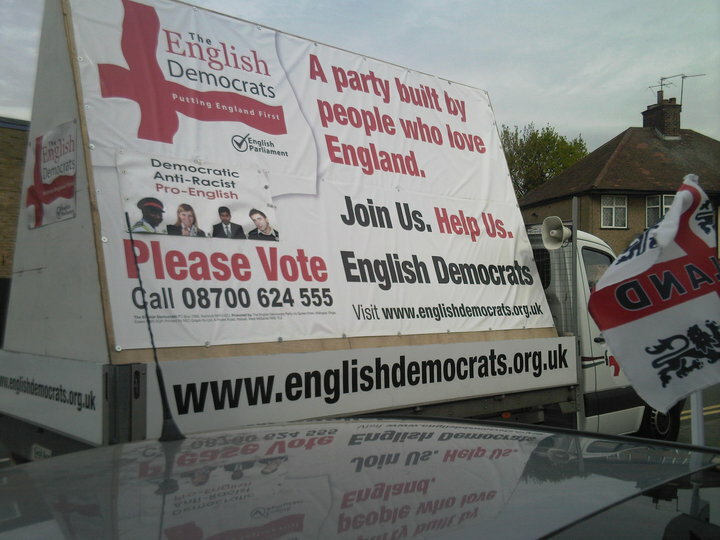 Therefore, the English Democrats policy committee should do exactly this and set up a working party. along the lines of ‘what it is to be english in the 21st century’ and paradoxically ‘what it needs to be english in the 21st century’. If this is established or discussions about this take place, please include me. Also, can you please include me on any links..